The group of Team Summer volunteers arrived early in the morning and worked tirelessly until late in the afternoon. 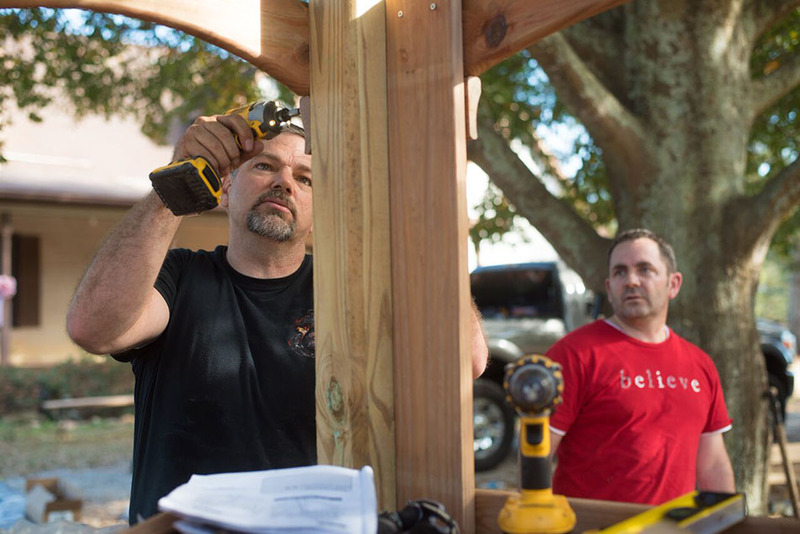 They had a big job to do – build a swing set for a little girl. 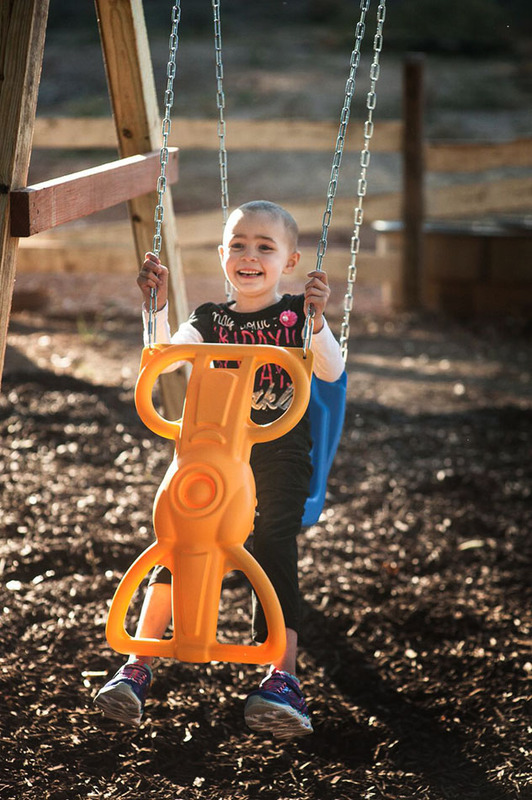 And if ever a little girl needed a place to play, it was 6-year-old Addy. 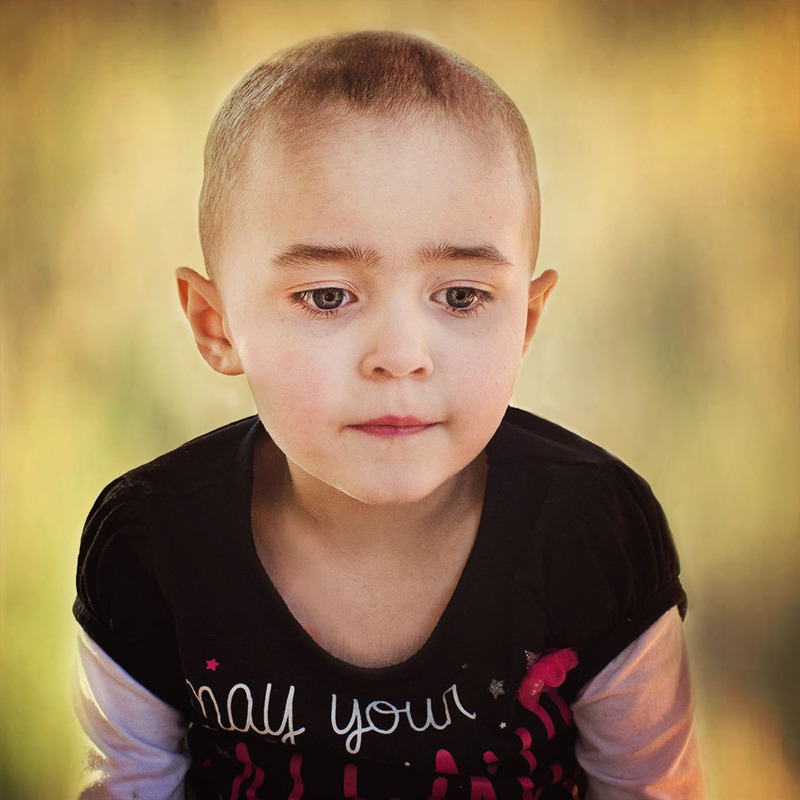 Last August, her family noticed that her neck had gotten thick. Local doctors told them not to worry, that it was cat scratch fever. But her grandfather took her to Children’s Healthcare of Atlanta anyway. 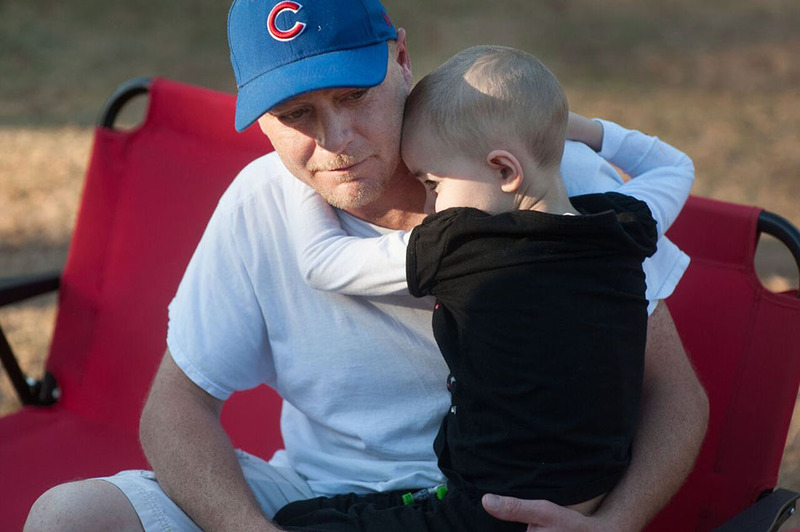 The news was tough to hear: leukemia. 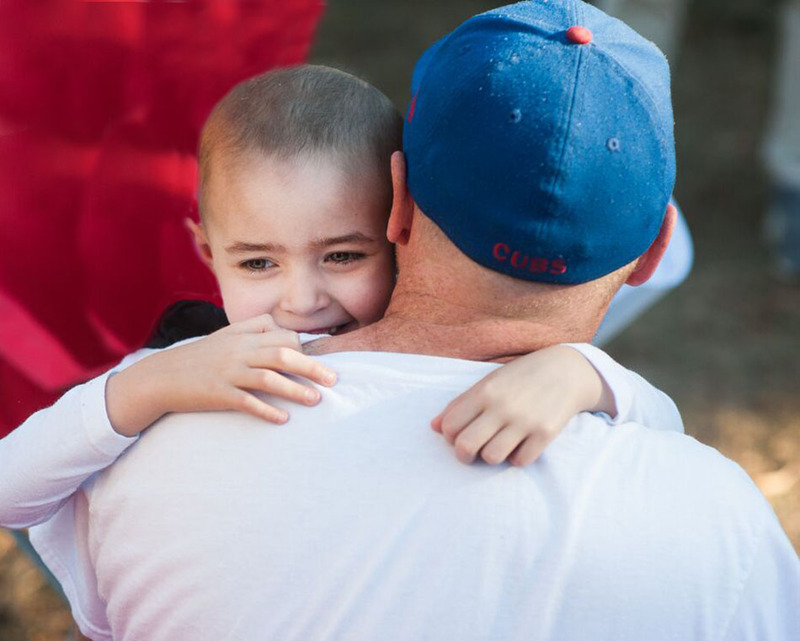 Since then Addy has been through many difficult treatments, including a bone marrow transplant. Our awesome 8-year-old Team Summer kid Kailyn knew Addy was having a hard time. 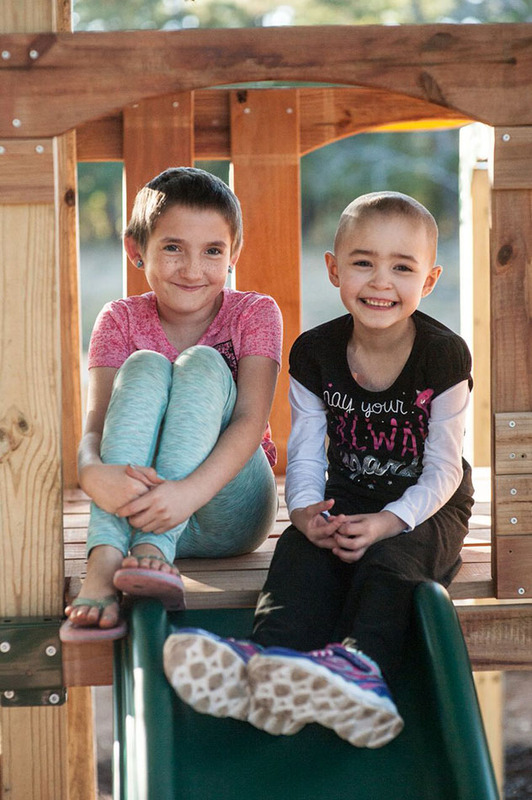 She knows all about tough cancer treatments, having battled Ewing’s sarcoma herself…and that’s why she chose Addy to become the next Team Summer kid! After being poked and prodded so much, Addy had gotten wary and shy around people she did not know well. 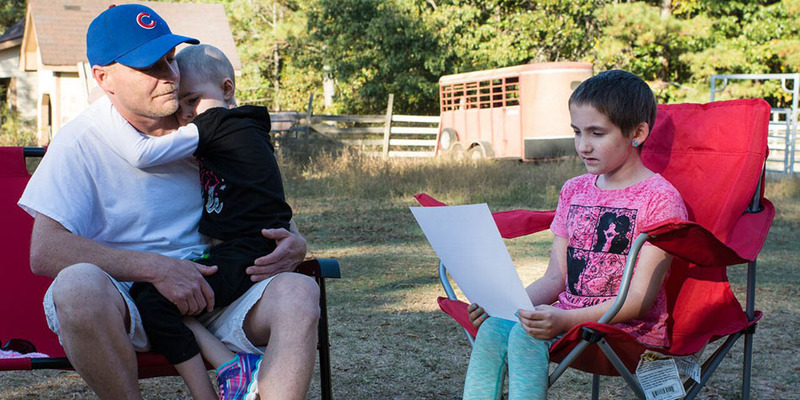 As Kailyn read her the Team Summer letter, Addy kept her face buried in her dad’s neck. But Addy did manage a smile! Just a little one. Then it was time to go see her gift! Remember, up to this point, Addy had not said a word. 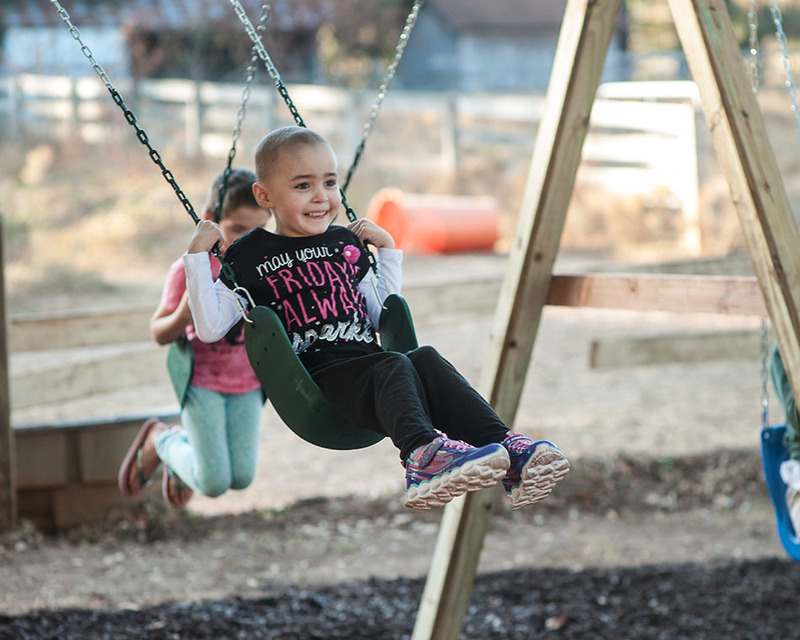 But as she rounded the corner, she got her first look at the swing set that the Team Summer volunteers had built in her yard. Without warning, she suddenly shrieked VERY loudly, “SWINGS!” It was hard to figure out how such a big sound could have come out of such a little girl! In a flash, Addy was swinging away! 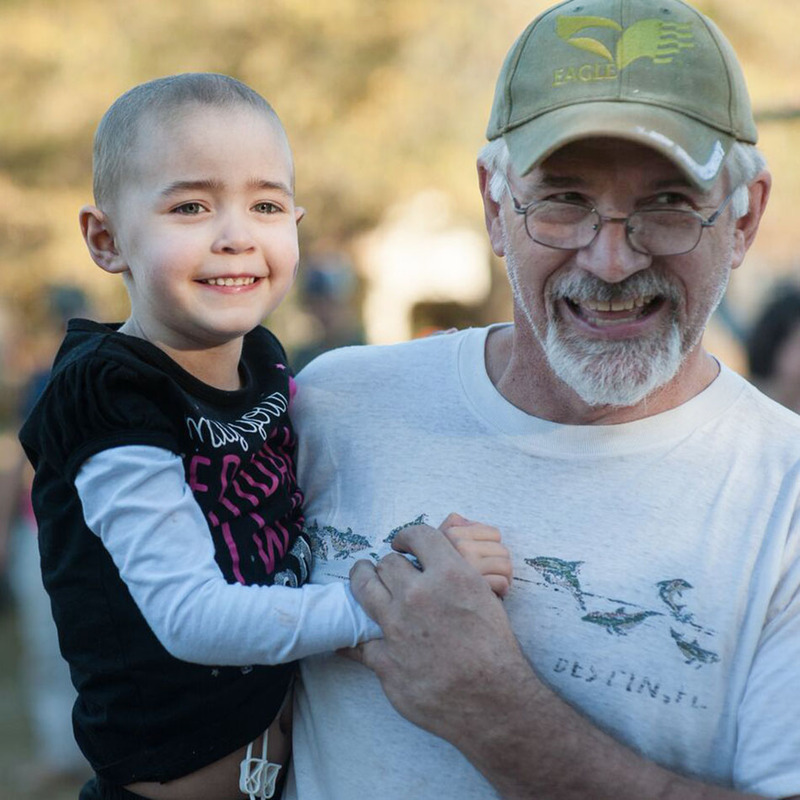 Kailyn joined in, doing what little girls do best – playing without a care in the world. Way to go Kailyn! Your loving heart made Addy very happy! Just look at that smile! Can you volunteer for Team Summer? 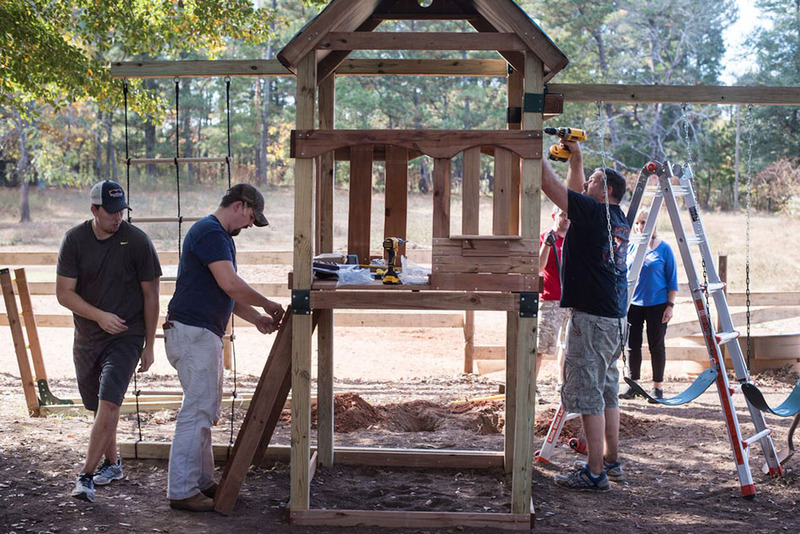 We need people to help coordinate gifts and sometimes even build them – like Addy’s swingset! Any help you can lend would be much appreciated!